Thirty-two Seattle pizzerias went head-to-head in a bracket competition. Only one could be crowned Seattle Times readers' favorite. Windy City Pie just won the gold medal. It also made this list of truly great pizza from Seattle Times food writers Bethany Jean Clement and Tan Vinh. 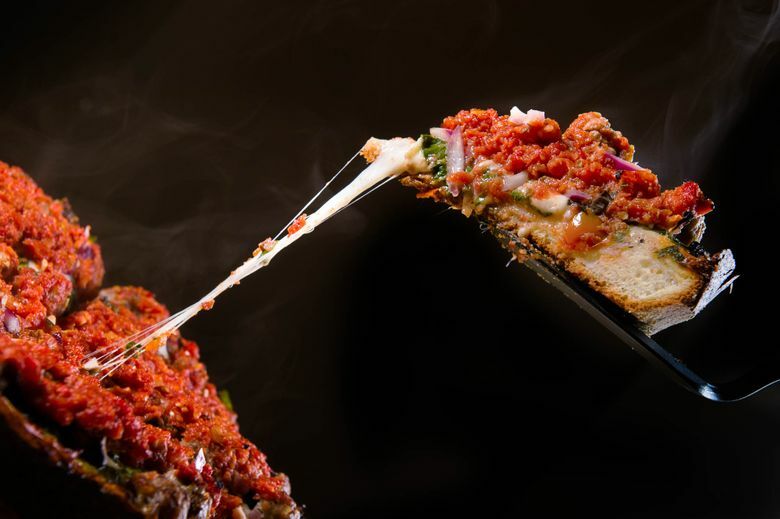 “Picking up Seattle’s best Chicago-style pizza feels something akin to a drug deal. It requires driving under four overpasses on a tortuous path to an unpropitious ’hood and ends on a street corner where you exchange dough for pizza dough. “That’s because Windy City Pie is technically a catering business. 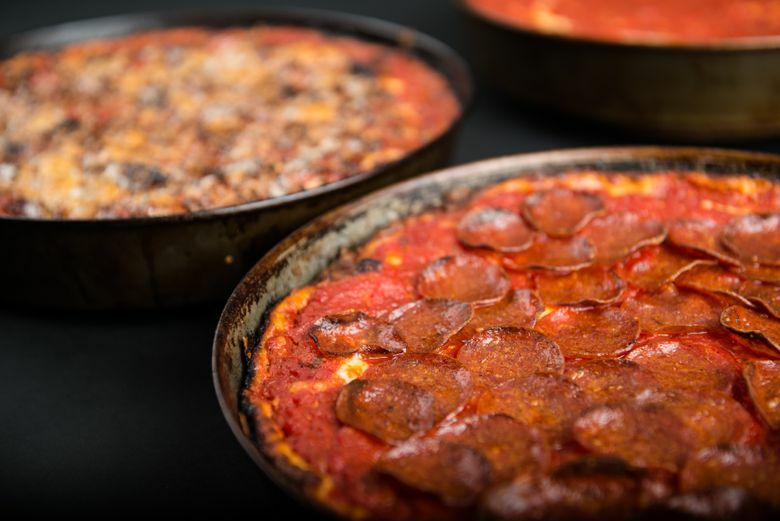 Chicago transplant Dave Lichterman makes his pizza out of a rented commercial oven in Sodo, then meets you on the corner of Airport Way South and South Charlestown Street with the deep dish when you text him upon arrival. The new Dino’s Tomato Pie, from the owners of Delancey, didn’t make it through the first round. Neither did greasy Capitol Hill favorite Hot Mama’s nor Ethan Stowell’s Ballard Pizza Company. In the Savory 16, Delancey was ousted by Tutta Bella, and Veraci beat out The Independent Pizzeria, which Times critic Providence Cicero considered a contender for best pizza in the city. The big upset in the Tasty 8 was when Pagliacci beat Serious Pie, from restaurateur Tom Douglas. Then we were down to the Flavorful 4: Pizzeria Credo vs. Veraci Pizza and Pagliacci vs. Windy City Pie. We in the newsroom were sure Pagliacci was going to take it all. But Windy City pushed far past Pagliacci, taking 58 percent of the votes. At last, two tasty contenders remained: West Seattle’s Pizzeria Credo and Windy City Pie. It was a close one, but it seems that Chicago-style is a charmer in Seattle. Congrats to Windy City. Now, go enjoy a slice.